trailchaser2020 – My Adventures in Training for my Thru-Hike of the Appalachian Trail. Some of you know that I attempted to hike 40 or so miles through Maryland on the Appalachian Trail a couple weeks ago. I didn’t hike as far as I wanted to. Dave dropped me off at Pen Mar Park about 9:30 a.m. and I eagerly started out. I walked a flat mile or so and then it happened. The rocks. I heard about the rocks. My poles saved my ankles and knees a few times as I maneuvered up and down and around the boulders. Suddenly, the trail went up and up and up. Then up some more. ON THE ROCKS. How I dreamed of the A.T.
How the A.T. actually is. I didn’t push myself, I was slow and deliberate in my steps. My thoughts kept reminding me of the view that awaited me at the top. And I did it! I made it to High Rock Overlook. The day was so clear and perfect. I took a few photos and had a little snack. The climb was worth it today! My spirits were good! I continued on and started going down, down, down and down again! Then finally I saw a sign for the Rock Haven Shelter. It was literally a haven from the rocks. I was going to hike more miles, but decided 6 miles was enough for my first day. Since I was the first one there, I had my pick of the spots in the shelter. It was a very nice shelter, as I understand, it is one of the nicest around. I unpacked my gear and set up my pad, sleeping bag, changed my clothes, found the privy and then decided to figure out the bear bag cables. The cables were easy enough to figure out, but the cable snagged on itself as I was trying to reattach it to the tree. As I was struggling, three men walked toward me and one offered his kind assistance. After he helped me, he looked crazy at me and asked if I knew that I hadn’t attached my food bag to the cable. Hahaha. I told him I was only practicing for later! Mine is the green one! I learned that the kind man that helped me with the bear bag cables is an Assistant Leader for a Boy Scout Troop. It made me relieved that someone who knew camping was sheltering with me! We all know accidents can happen though and as he was making his dinner he poured boiling water all over his left hand – and – he didn’t have a first aid kit! WHAT??!!!??? What kind of Boy Scout is this?? Lucky for him I had packed the world’s largest first aid kit and gave him some salve for the burn. Another man hiking with him had a 60 pound pack – yes, 60 pounds. He proceeded to bring out boxes of crackers, 2 pounds of almonds and a can of black beans. I was shaking my head in disbelief. I thought I would be the one burning myself and carrying the crazy amount of weight. The same man later on pulled out raw Italian sausages from his pack and proceeded to cook them over the campfire. A thru-hiker sitting at the campfire said in all his 68 days on trail he had never seen anyone cook Italian sausage over a campfire. He also said the craziest thing he had seen was a woman hiking while eating an entire head of lettuce like it was an apple. Ooookay. The Boy Scouts/burn victim cooking the sausages. The shelter was packed with hikers and the surrounding area was dotted with bright tents. As we settled down for sleep around 8:30 I was WIDE AWAKE. It was only when the hiker next to me started to snore that I fell asleep. He sounded just like my husband! During the night I woke up a few time to sounds of multi pitch snoring, sleeping bags crinkling against their pads as sleepers rolled over and random whispering. All in all, I had a decent sleep. All the hikers started to roll out of their beds about 6:30 or so. I took my time. A nice woman from Switzerland had helped me put up my food bag the night before on the cables and she was so nice she brought it back down when she retrieved her own bag in the morning. I made some food, but was feeling tired. I dilly dallied and swept out the shelter after everyone left. First one in, last one out. The energetic feeling of joy wasn’t in me. I was feeling different. My legs were very wobbly. I was worried about every little thing. I was constantly checking my guthook app for where I was and how far I had to go to the next shelter or the next water. And I hadn’t even gone that far yet! Although I triumphantly gathered my own water at a waterfall, I was feeling gloomy, no matter how hard I tried to cheer myself up. I was going down hill for about a mile. Then, I saw a road, multiple vehicles were parked along the shoulder and day hikers were all around the trail. A nice woman smiled at me. I kept going. I crossed the road. I crossed a creek. I started to climb up and up and up. Then I saw a black snake. Cool! I was hoping to see some wildlife. I kept going. Then I saw a big rock, felt my legs wobble and promptly sat on said rock. Gloomily, I watched day hikers and thru hikers confidently pass me. I texted my husband. I did not cry. My face felt hot. My mind was swirling. I simply did not want to continue. I gave up. I quit. I walked back to road. I waited for that nice woman that smiled at me earlier to finish her hike. I finally saw her and I leaped into her arms. Well, not really. That would have been funny, but I don’t think I could have lifted my legs up high enough to leap. The nice woman – my trail angel – gave me a ride to a gas station/deli then an hour later came back and drove me further to Frederick so my brother in law could “rescue” me there. Thank you, thank you, thank you, Alys! In the immediate days following I faked being positive and upbeat about my adventure, actually my stomach hurt, my heart hurt and I wanted to crawl into bed and hide. I thought I was giving up on my dream. After some reflection and long talks with my husband, my dream to thru hike has not dimmed. In fact, I am more determined than ever to set myself up for success. I don’t want to die with dreams left inside of me. This failed hike did what it was supposed to! I got to know my gear, and most importantly I learned what I need to change. What would I change about my gear? Not much, maybe ditch half the first aid and find a lighter tent. What else could I change? I have regrets. The next hike I do, I will have no regrets. I should have re-read my Why’s before calling it quits. In the moment I didn’t think I could take one more step, looking back, I don’t think I pushed myself hard enough. I’m disappointed in myself. I’m proud of myself, too, though. I was brave to even try. The biggest (pun intended) change needed is that I am not physically ready. If I want to continue this journey for thru hiking the Appalachian Trail I will need to be more focused on my health and strength starting now. How exciting! Author trailchaser2020Posted on May 23, 2018 Categories appalachian trail2 Comments on What just happened? I announced my intention to thru hike the Appalachian Trail in 2020 WAY back in July of 2015. Some people seem to be assuming that I have given up on it. What??? No. I still intend on starting my hike in April of 2020. Ready or not here I come. This summer I will be buckling my pack and staking my tent even more; going to places I have never been and gaining some valuable experience. And I’ll even write about a few of those adventures. Plans are in the works for a trip to the Maryland section of the Appalachian Trail, and a possible trip to Maine. I’ll, of course, also keep hiking around Western New York. Right now though, Mother Nature has not yet received the message that Spring is about to be here and has been unleashing some serious snow and cold around here. I’m not letting that stop me though. I revisited an old favorite place to hike, Tillman Nature Preserve. The last time I visited there was a monsoon! (Read about it here.) I was up past my ankles in water while hiking in my work boots and a skirt! (This was back when I didn’t prepare very well.) It was a little different this time. The weather was cool, but it had just been raining so the trails were mushy and muddy in places and downright ponds to walk through. The boardwalks and waterproofed boots were sure handy! Of course, I always say – It isn’t a truly good hike unless there’s a little mud! Before and after of my boots. Tillman Nature Preserve has a great loop trail that is just over 2 miles. It crosses and recrosses a road and is completely and utterly FLAT. There were a few interesting photo ops though. Some kind of fungus, a neat little bridge and it seems as if someone built a couple “shelters”. Only one seemed to be big enough for me to get in, so I did. As you can see by the sunshine over my shoulder the shelter is not very weatherproof, but it’s still fun. I cleaned up some litter around the shelters and on the trail. There must be at least a six pack of Bud Light and a couple Gatorade bottles. What a shame. I’m glad I brought a bag to collect it all in. I actually washed and kept the orange shaker bottle. It looked brand new! I’m guessing it fell off a fat-tire bike rider. A week later, my big green pack was looking sad, so I packed it lightly and buckled it up to revisit Hunters Creek Park. I was worried about the snow in the parking lot, but I didn’t need to be. So many people love this park it must have been plowed. I put on my micro spikes for a short hike around the most used trails. The trails with no human tracks made me nervous. I didn’t want to blaze my own trail yet and I had left my snow shoes in my car. It was not even 30 degrees, but I was plenty warm with my layers. I was confident hiking on the icy paths with my micro spikes. I had my taped together, well-used map, so I didn’t get lost. Although at one point I thought a blue dashed line was the creek when it was actually a trail. Oops. So much for having a map. I am seriously considering taking an orienteering class this summer. I love this picture below of the brilliant sunset (my AT dream) behind poles (work, life) with a directional sign (chose left or right). I don’t want to go left or right; I want to go straight into that brilliant dream!!! Those poles can just get out of my way! When I’m on the AT, I will take many photos of the sunset I am sure; and NONE of them will have poles in the way! Author trailchaser2020Posted on March 15, 2018 March 15, 2018 Categories appalachian trail, Dreams, map reading, nature, tough, travel, winterTags Dreams, fun, hiking, litter, muddy, planning, sunset, training, travel, wetLeave a comment on My goal is still 2020! Meditation and introspection during a long winter’s walk. In my last article I talked about de-cluttering my home. That is still a work in progress. In the meantime, I’m taking three weeks this month to see what happens when I de-clutter the way I eat. I tend to snack at night – on a big bowl of popcorn, or a few m-n-m’s. I love to eat candy! Chewy candy or caramels…yum! So, needless to say, I gained a few pounds. I’m not on any medicines, and I would like to keep it that way for the rest of my life! So changes need to be made! My friend introduced me to a wellness program called the Ultimate Reset . Before I even read anything about it, I signed up. Woah. I panicked. I spent money on health stuff. That is not like me. I must have a fever. I took a deep breath and talked to my friend – shout out to Tabatha! She is a coach with Team Beachbody and a darn good one. She always says the right thing to put me back on track and believe in myself. This article isn’t to sell the program. I don’t know enough about it to sell it. The big thing that sold me on Ultimate Reset is that there is only light exercise involved. If by some chance you want to know more, let me know and I can connect you to Tabatha. These are just a few observations about my personal experiences during this process. VERY, VERY simply, Ultimate Reset is a 21 day program where you gradually eliminate meat, dairy and sugar and all food that tastes good. heheheh. That’s not true. At least that last part. I’ve had great food and new foods! Never had tempeh before this! Or miso soup! Actually, the Ultimate Reset says that it will “reset” my body’s inner workings and fine tune all my parts to make it strong and as healthy as possible. They name the three weeks: reclaim, release, restore. RECLAIM! I am reclaiming my body as my own. I am reclaiming my health! As I look back at week one it was challenging! I had to spend a lot of money on food that I never knew existed (wakame seaweed, jicama, liquid aminos). The meal prepping was mind boggling. There were videos of other ladies drinking their “power greens” with their nose plugged because it smells so bad. Doubts crept in. The old familiar voice in my head started telling me I could never eat like this, I would never follow through, I was going to eat candy! I didn’t feel like I was “reclaiming” anything! Then. Then, I spoke out loud to the voice in my head and told it to SHUT UP! I reclaimed the voice in my head! My fear of failure is still always there. I set myself up for success this time by setting a lot of alarms on my phone. Reminding me to take the supplements on time, to eat breakfast, lunch and dinner, an alarm to remind me to go to bed! If I had to remember it, I set an alarm for it. The recipes and almost all the food was delicious (miso soup is not my favorite). I learned to substitute things (veggie broth for the miso soup) and was brave in trying new foods – tempeh and wakame seaweed. I even made nori gomasio. The instructions of this program are that you are only to do light exercise, like walking or yoga. It was freezing outside so I took my sister and nephew on a wintery hike in the woods. My sister had a chickadee eat out of her hand for the first time. She is now the newest Disney princess! She is a master bird whisperer. RELEASE! Please release me! Release week is when you take a “detox” supplement that should help you “release” – be it physical, mental, and/or spiritual. Looking back at Release week I remember I was excited that I didn’t have to buy as many groceries! I’m released from grocery shopping! Wait….am I going to be hungry? Why am I only eating mashed chickpeas for breakfast? What did I sign up for? Then. Then, I released my concerns and followed the program. I stopped my questioning and drank my power greens like a big girl and made some delicious, healthy meals. The Releasing for me has been releasing control of my comfort. Letting myself feel uncomfortable. It’s okay to feel a little hungry. For I know I will feel hungry while hiking the Appalachian Trail, so I might as well see how it feels now! It’s not comfortable or fun cooking every single day for 21 days. My husband and I ate at restaurants 3-4 times a week. But, I’ll be cooking for myself nearly every day for six months on the Appalachian Trail. Better get used to cooking! Pushing away cravings for food is difficult for me. I admit, I did sneak a teeny tiny piece of my husband’s steak while I was supposed to be eating vegan. I might have accidentally put a teeny tiny piece of chocolate in my mouth. I’m human. One thing I really want is a big bowl of buttery, salty popcorn. But on the Appalachian Trail, I won’t be able to succumb to cravings, so I better figure out how to manage them now. On a side note: My dreams have been spectacular! So vivid and funny. In one, my husband and I were flying (just our bodies, no plane or spaceship) into outer space and nearly collided with a satellite. My husband was supposed to know where the parachutes were to go back to Earth, but he wasn’t sure. Somehow we landed and NASA was interrogating us about our trip. Then my friend Linda showed up and said that next time we should look up where the satellites are first, so we don’t almost hit one. Seriously, I dreamed this! The only thing I had to eat before bed was a big glass of water. RESTORE! 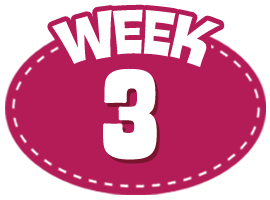 Week three! What a week it was! I ate roasted fennel (my favorite) and other veggies, tons and tons of fruit and started a new supplement to put the good bacteria back in my gut. Well, I started out the week by getting sick. Puking sick. I haven’t thrown up in a long time! Some of my friends on the same program said I had a flu. Sure felt like it. Being sick and on a diet is so hard. My body just wanted comfort food and not power greens. This week is supposed to be entirely vegan. I failed. I am not ashamed. I didn’t feel good! My husband made me a scrambled egg because if I threw up again, it wouldn’t hurt coming back up. The next day I stayed home from work because my stomach still didn’t feel right. I ate most of the food suggested, but I added a very small chunk of fresh chicken my husband made to the salad I had for lunch. I skipped a half day of supplements and stopped taking power greens. Again. It’s what I felt like I needed to do to feel better. The next day I was back to the program. Only you know your body best. It’s great to push yourself, but don’t make yourself miserable. As you can see from the length of this section and lack of pictures, this week was tough for me. It’s the week before Christmas so I was extremely busy, extremely sick and getting tired of having to prep and plan every meal. By the end of the week I did have a couple slip ups. But I did the best I could. My program results are about what I expected. I am excited to say I am down over ten pounds and four inches all around. My energy level has improved and I slept better than ever. Amazingly, my GERD has not been an issue at all during this. I did make sure I didn’t eat problem foods, of course. As I transition back to eating meat protein I will see how I feel and take careful notice of what I eat that makes me feel tired, bloated, and sick. There are some other programs by Beachbody that Tabatha has suggested I try starting in the new year! I’m excited to continue this great process of getting stronger and healthier in order to make sure my thru hike of the Appalachian Trail is a success! Life is full of different experiences for me. As much as I yearn for “hiking” adventures, I find I have many more “non-hiking” adventures! There are times I think to myself that I should write a book about all the insane things that happen! Other times, people I love say that I should “write a blog” about this or that. It’s hard to “just write” about something if it doesn’t move me or inspire me in some way. So, that is why there are such gaps in my blogs. Not that I’m not doing something worthwhile; it’s just that I don’t think it’s interesting enough to write about. I’m working on creating success in my entire life. I am working on improving my house. Now, I am not a completely organized person. People I work with would be surprised to hear this, as at work, I am a neat freak. I let it all go though at home! Well, in places people don’t see. I realized that I have a lot of storage areas in my home that accumulate bins and boxes full of clothes, household decor, kitchen items, linen, books, etc. It is my mission that before I leave for my thru hike in April of 2020, my house will be pristine. There will be no clutter, no mismatched socks, no random tools sitting in the hallway to the basement, piles of papers in the office or clothes that don’t fit and everything in my house will “spark joy” in either me or my husband. There, I said it out loud. Now it shall be. Really. No, REALLY! I have started a process called “Konmari” a few months ago. I read the book by Marie Kondo, The Life-Changing Magic of Tidying Up: The Japanese Art of Decluttering and Organizing. The book is small and easy to read. I read it out loud to my husband before we went to sleep each night for week or so. He is totally on board with our de-cluttering and it really helps to have your spouse involved. The book suggests you sort and purge by category. Not by room. You begin with organizing your clothing. The author tells you to place ALL your clothing, ALLLLLL your clothing, in ONE PLACE. That meant I had to empty clothes bins from the attic, pull hangers of clothes from the guest closet, boxes of clothes from the basement, clothes from the dresser drawers in my guest rooms, even clothes I had in my trunk in case of emergency. I followed the rules and I wasn’t messing around. Why do I own so many shirts??? The author even has a special folding technique that keeps creases to minimum and maximizes your drawer space. I can’t even begin to tell you how much joy it is to open my sock drawer and see all my socks all folded (not balled up because that stretches the elastic) neatly! There are no mismatched socks or socks that have holes! Even my undy drawer is neat and folded! Ahhhhh! Such a small thing makes getting dressed in the morning so much easier! We are still working on clothes. There is a much smaller pile in the basement left to finish. Luckily or unluckily we have a spare room in the basement that no one sees that we can do this in. If the clothes were piled in the living room, I’d be done by now, I’m sure! I’m nearly done, but my husband has a way to go! You cannot Konmari for another person, they have to do it in their own time! That’s hard when I see something of his that I think should be tossed or donated and he is struggling to decide! Once we are done with clothes, we move on to the next category. I think the process of Konmari is to purge categories that have the least sentimental value to you first. So if you are REALLY attached to your clothes, you might want to start with something you can easily let go of. Leaving the most sentimental things to purge last. I am excited about this process although it takes some dedication and time out of our weekend to do it. It does feel exceptionally rewarding to see something that was a cluttered mess become neat and tidy! I can even use that clothes rack in the basement as the treadmill it was meant to be! Also, I’m feeling a bit better so I will be venturing out for a short hike this week sometime! I need to get back into shape to climb those mountains on the AT! Time’s a ticking! Happy Organizing and Happy Trails! Author trailchaser2020Posted on November 21, 2017 Categories appalachian trailLeave a comment on Not all adventures are on the Trail! The winter in Western New York is typically very cold and very snowy. This month though a 111 year record was broken when the temperature soared to 71 degrees on Friday, February 24. I raced home after work and changed my clothes and fed the dogs. My dogs were just as excited about the nice weather as I was and raced around the yard and rolled in the grass. When they came back inside the house I asked them if they wanted to go for a ride in the car and go for a walk. Their ears perked up and they bolted for the door. I gathered a few poop bags and found their leashes. Royal and Maggie bounced in circles and made happy whiny noises while I removed their collars and put on their walking harnesses. It is such a wonderful feeling seeing them so excited! I love making my dogs happy! I decided to drive to my sister’s house to ask if she would come with us. She wasn’t home, but my nephew Matt was. I barely got the question out when he eagerly accepted my invitation to take the dogs for a walk. Matt knows the Joe Panza trail better than I do, so I was really happy he agreed. It took only a few minutes to arrive at the park. Once we arrived the dogs jumped out of the car and started sniffing and tugging at their leashes. Of course, they wiggled around so much that Royal pooped even before getting to the trail. Luckily, it was right near a garbage can, so I was glad I didn’t have walk around carrying his poop. It is one of my pet peeves that people don’t pick up their pet’s poop. Even if your pet poops off the trail, always pick up the poop. No way to get a selfie with the dogs too! They do not cooperate. Matt has never walked a dog before. Something I hadn’t thought of when I handed him Maggie’s leash. Maggie is great on a leash, although she does like to move around a lot so there is a little bit of dancing and twirling you have to do. Royal on the other hand loves to lead the pack. He doesn’t pull as much when he wears his harness, but he still tugs. My shoulder gets a work out! At least I gave Matt the easier dog to walk! Royal leading the pack! There is a leash there, I swear! It’s just hard to see. It had rained the day before so the trail was damp with some big puddles in places. Royal is my water dog; he happily walked right though each puddle. Maggie was very dainty and maneuvered around them all. She does not like to get her feet wet. Matt made the decisions on which way on the trail to turn. He carefully peered down each trail to scope out the puddles before committing to turning left or right! He was wearing sneakers and didn’t want to wade through the mud! Of course, I’m glad of that! I didn’t want the back seat of my car to be more muddy than necessary! Usually I have a vinyl protector on the seat so the dogs mess doesn’t get on my car, but I was lazy for this hike and didn’t put it on. Another pet peeve of mine is meeting other hikers that have their pet off leash. We heard some voices up the trail and actually met their dog FIRST! I stood stock still and reeled in the leash on Royal. The dog approached us slowly, didn’t growl, and his tail was neutral. I still was shaking in my boots. Then I remembered Matthew. I told Matt to hold Maggie close on the leash and stay still. The owners of the dog came along and called to their off-leash dog, of course the dog ignored the commands. Their dog sniffed Maggie and Matthew and I encouraged Matt to just walk forward slowly. They had another dog on a leash, thank goodness, because this dog was growling at us as the woman could barely hold the dog back from lunging at us. It is so dangerous to have your dog off leash. What if my dogs didn’t like to be approached by a strange dog? I would have been in the middle of a terrifying situation. Fortunately all dogs and humans walked away from the encounter without incident. We might not be so lucky next time. I held my tongue from saying anything to the other dog owners, but I think they got the message when I refused to acknowledge them and concentrated on getting my dogs out of there safely. Next time I use my friendliest voice to remind them of the leash law. With that excitement past us we were at the car in no time. Royal and Maggie jumped into the car and we drove Matthew home. When I brought the dogs into the house I gave them each a couple treats and big bowls of cold water. We snuggled together and had a nice nap and dreamed of our next hiking adventure!